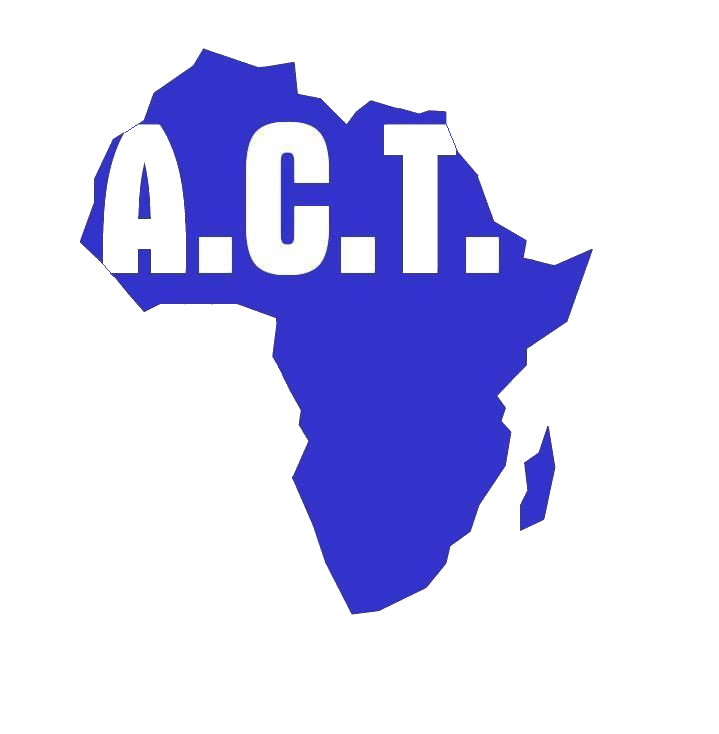 This January marks two years since ACT started operating in the Democratic Republic of Congo (DRC). The DRC ranks as one of the poorest countries in the world, coming in at 176 out of 187, according to UN figures. The country also has about 80 million citizens, 63% of whom subsist below the poverty line on less than one U.S dollar per day.There are over 120 different rebel groups active in the country and 60% of the fighters are children, according to the UN. This has resulted in approximately 4.5 million internally displced people. There is also an Ebola outbreak across North Kivu and Ituri provinces, which has claimed the lives of nearly 400 people in little under a year (WHO). Added to this is the political instability.This has been rife in the lead up to the December 2018 elections,making the country seem like a ‘powder keg’ waiting to go off. However, that’s not how we at ACT look at the country. We see potential, we see possibility and we hope for progress. Upon writing, the DRC has never had a democratic transition of power since independence from Belgium in 1960. The progressive, Patrice Lumumba, was democratically elected at independence. By 1961 he had been removed from office and murdered as a result of a US-backed coup led by Colonel Mobuto Sese Seko who took power. Mobuto remained in power until 1997 when he was deposed in a coup by Laurent Kabila.He held power until 2001 when he was assassinated by one of his bodyguards and replaced by his son, Joseph. Joseph Kabila has held power until the current elections in December 2018. Speaking ahead of the elections, Ambassador Karen Pierce (UK Permanent Representative to the United Nations) outlined how the international community viewed the political situation in the DRC. So where are we now? Well, as of time of writing on 10th January 2019, after a delay in releasing the results, Felix Tshisekedi has been declared the winner with 7 million votes. The runner up, Martin Fayulu, won 6.4 million votes and the candidate for Kabila’s party came in third with 4.4 million votes. Although an opposition candidate has won, the runner up (Mr Fayulu) is contesting the result with more votes still uncounted. Despite fears of violence, it has been largely peaceful so far. Whoever the eventual winner is, it a sign of progress. The hope is that with a stable transition of power, civil unrest will decrease, allowing for more effective treatment of Ebola by local and international teams. Following a spike in reported cases in November 2018, there was a dramatic decrease in December. Another step in the right direction. The great tragedy of the DRC is that it is a country of vast natural wealth, from mineral deposits to arable farm land – to the bountiful forests and rivers – to the people (50% of whom are under 25). The country has the potential to be a driver of African development. However, the country’s many problems have resulted in millions of internally displaced people (IDP’s). These domestic refugees and their children often see educational and business opportunities vanish in the short term as they seek a safe place to start building a life again. This is why the work ACT is doing is so important. Our work here demonstrates what is possible in the face of adversity. ACT works in partnership with the Lighthouse School in Lubumbashi, Haut-Katanga province in south-eastern DRC. The school now has 500 pupils, up from 400 last year. The school has also hired 3 more teachers, one of whom is Julie, whose husband left her 2 years ago with 5 children. ACT is very careful about who we choose to work with and the Lighthouse is a great example of a school which shares our ethos. Some of the children’s families were having problems paying for uniforms and school fees so the school decided to waive the cost of education for 30 of the poorest kids in exchange for 2 hours per week cleaning the school. Now it might be easy to criticise this approach, but in a country without a strong governmental structure and economy to offer the kind of welfare that is enjoyed in the West, this is an elegant and efficient solution. It allows 30 children to be educated who would otherwise be working (or on the streets) and in much worse conditions. So far, ACT has supported 16 children in the DRC to pay for uniforms and school fees. Already 2 of our children, Anastasie and Kerene (left), have passed on to secondary school. We wish them success in their new adventure. But this is just a drop in the ocean. Currently, the DRC is the country where ACT has the smallest presence. We desperately want this to change. However, time and time again we are impeded by the country’s fragile infrastructure when trying to expand the work we do. It is our hope that with greater support we will be able to overcome these impediments and reach more vulnerable children and widows. Your support is vital. Without it, a third (166) of pupils are likely to drop out of school before the end of the school year. Despite the difficult circumstances that characterise day-day life in the DRC, the fact that children still wish to learn and adults are still willing to support them is a testament to the human spirit. It isn’t right that innocent children miss out on an education just because they were born into a country facing great hardship. Education is a right, not a luxury. With this in mind, we implore you to please support our work in the DRC by donating here. If you would like more information on DR Congo, please see our DRC Indpendence Day blog. All figures come from the UN or WHO.